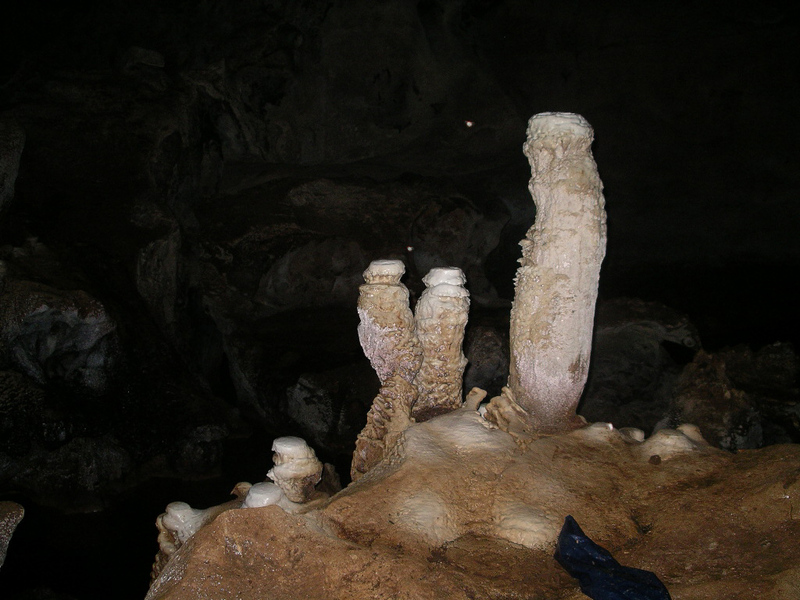 Small stalagmite in Luweng Musuk cave, East Java, Indonesia. Every time and then, a cavers had nothing to lose as well. So many caves there are in Indonesia. Many are already open to the public, be it general or specific tour. So the opportunity to feel the mystery cave, complete with ornaments strangely, is actually wide open. Cave ecosystem actually is very unique. Derived from karst or limestone rocks eroded continuously, thus creating holes. Many holes even bigger than aircraft hangars, many of them are just as small hole, just enough for one body infiltrates. Inside the cave, in fact many creatures life in it. Usually there is a lot of wildlife in the area between light and dark. Unique when you see animals in the cave, with no light. Mostly transparent or white bodied pale. Without eyes, and has a long antenna. Referring to the property, so there’s no harm done some steps to preserve it. The first action that can be done is sticking to principle, not take anything but pictures, leave nothing but footprint and not kill nothing but time, while in the cave. So good waste of any nature should be taken out of the cave. Try to remain as the original cave, when we are not setting foot there. Do not also take anything from inside the cave. Mainly rock ornament such as stalagmites or stalactites. Because it could have ornaments that has stood for hundreds of years. So unfortunately when destroyed in just a few hours. Save energy light bulbs are also taken. When using carbide to light up, try to save carbide as possible. Maybe the occasional light can be turned off, because so has a unique feeling when it was pitch dark room disebuah at all. Avoid also perform acts of vandalism, such as doodling inside the cave. Because aside from an eyesore, it also has a negative effect on growth in cave ornaments. The only crime that is approved, there may just be in the cave. Since we are allowed to kill as much time as possible. May enjoy the beauty of the cave as long as possible, without harming others. This entry was posted in Tips and tagged cave conservation, cave ecosystem, cave environment, cave indonesia, cave preserve. Bookmark the permalink.